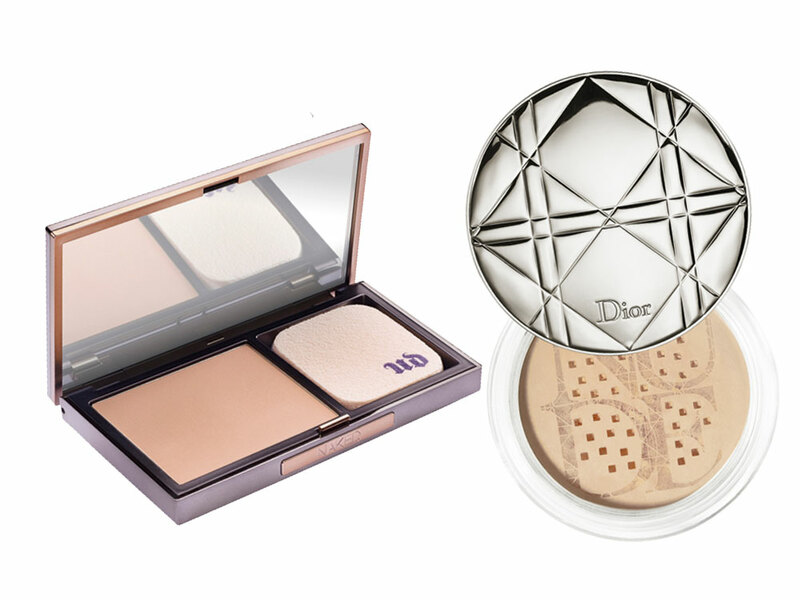 The words face powder instantly recall those teenage years of trying to cover bad skin and ending up looking caked, don’t they? Don’t let that put you off; though we inwardly cringe too at the memories, we have come to embrace the not so humble power of mattifying, blurring, skin-perfecting powders. The holy grail of face powders. It’s ridiculously finely-milled and will therefore never look caked. The finish? Slightly mattified skin that looks ever so subtly perfected without any chalkiness. The beauty desk definitely think it’s worth skipping Friday night drinks in order to be able to afford it. While we would never admit to any bias based on the gorgeous silver packaging, we were seduced into trying it on the basis of it’s looks. We’re very glad to report that the insides are every bit as good as the outside – a light dusting provides a velvety finish. If you need more, just use a damp sponge for the appearance of airbrushed skin. An ultra fine pressed powder that manages to give a luminous, soft matte finish, without shrouding any natural luminosity. The ultra silky smooth texture feels wonderful when swept across the face, and its perfect to apply on the go thanks to the handy compact format. 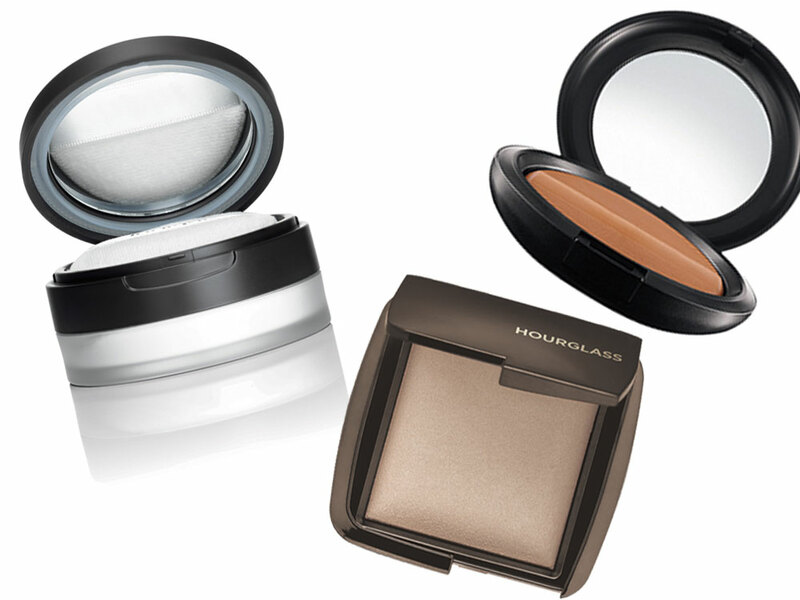 This finishing powder makes blemishes and fine lines appear minimised thanks to the hazy veil it draws over the skin. The key thing to remember when applying this, is that less really is more – a few swoops over the face will revitalise dull looking skin leaving it glowing – not shiny. We love that we can now turn up to work looking fresh faced at 9am. A firm favourite of the beauty desk, this translucent powder is perfect for oily skin; the lightweight formula feels amazingly silky when sweeped across the face with a brush (chuck away the powder puff – it’s ineffectual and collects dirt). It also is a godsend for easily-congested skin: though it smells of rose, it’s all natural ingredients and rarely irritates skin. This little wonder is one of our favourite new finds – the loose powder evens out the complexion and slightly mattifies while feeling weightless and looking sheer. For those of you who are looking for a powder with slightly more coverage, this is the one for you. It’s still buildable and a touch can be applied for those of you who need just a little help on the t-zone, but a second layer will act as a foundation and powder in one. And for more foundations suited to your skin type and tone, with your preferred coverage, check out our sister site Powder to get your own bespoke product recommendation. Top Tip: For more control and a more modern finish when applying powder, use a smaller brush than you might ordinarily do to allow you to only apply it where necessary. Try Mac 109 Small Contour Brush, £28, to apply powder sparingly where needed.